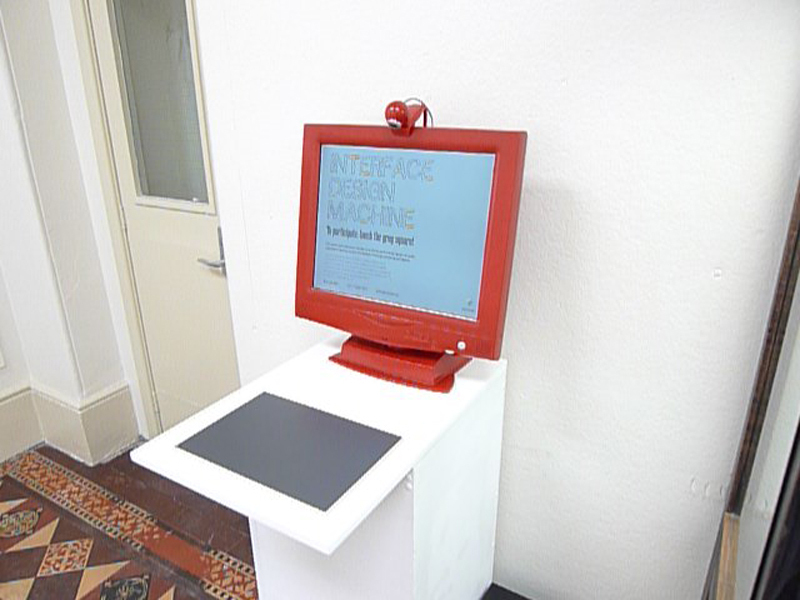 This machine is designed to allow insight into user’s natural mappings regarding media devices. 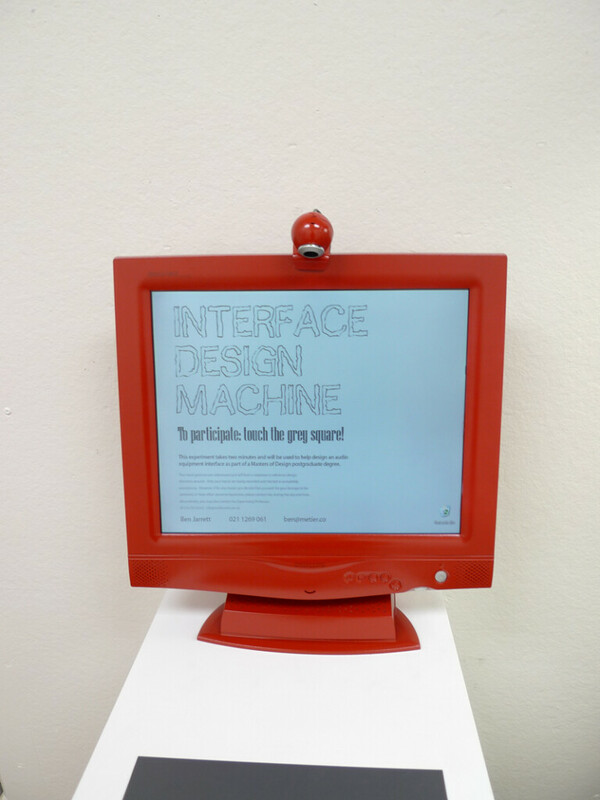 I painted the monitor and webcam bright red and placed it into the main foyer in the Design School at Unitec. It had a phenomenal response with over 30 people participating each day, which really helped to get a broad spectrum from which to base design decisions around. The real insight was that people responded in a variety of different ways that were not copies of common smartphone/touchscreen interfaces. 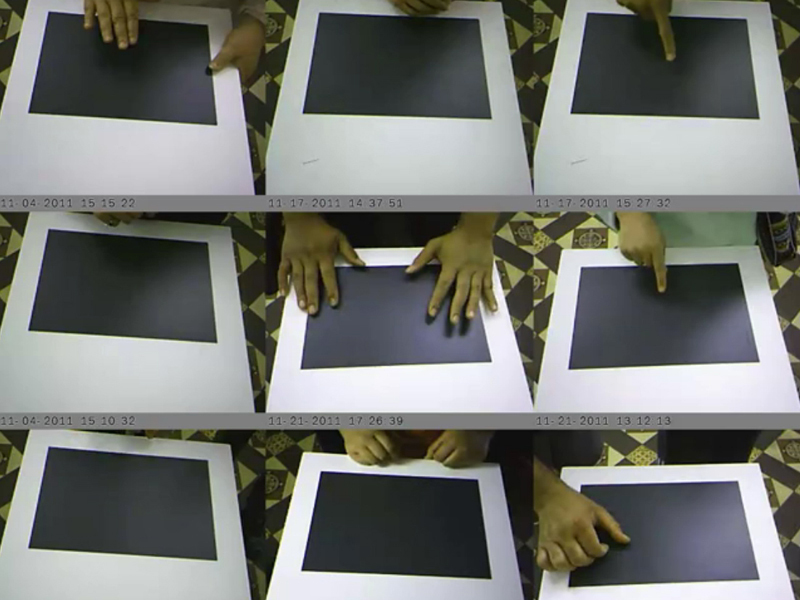 The machine itself cannot make datasets from this video feed, but it has led to the need for a new IDM, which can make datasets that can be analyzed and visualized for deeper insight. 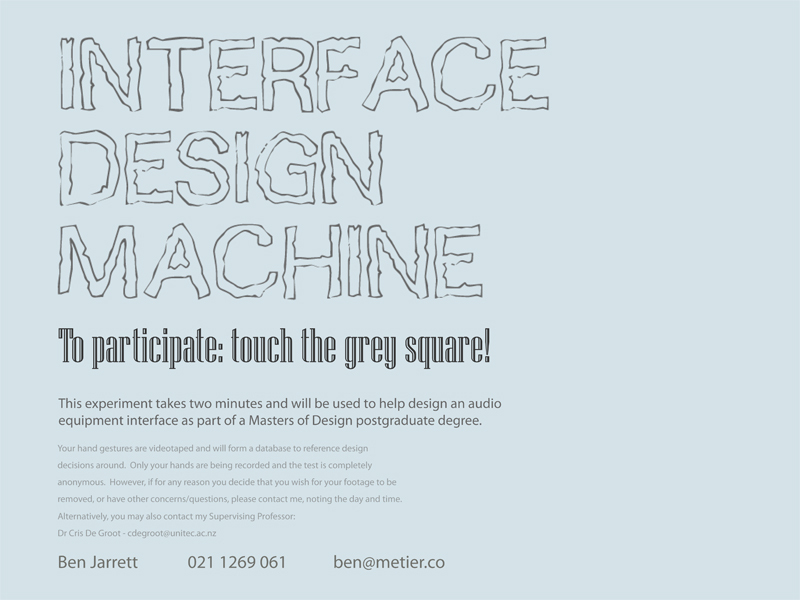 IDM Test Contact from Ben Jarrett on Vimeo.